Freightliner Sales and Service in Pharr | Doggett "
For your convenience, we have four locations in the state. We’ve been in the industry for over 25 years. Give us a call at (956) 782-8202 for Freightliner sales in Pharr, TX. 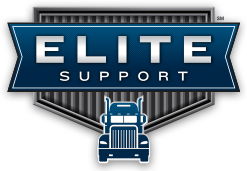 At our Elite Support certified Pharr dealership, our goal is to keep our customers’ trucks running down the road because we know uptime equals profits. To do this, we express assess every truck and take enormous pride in ensuring our technicians are the best trained in the industry. We also have over $10 million in parts inventory to keep you moving. Here at Doggett, we have a wide variety of industrial vehicles available for purchase. If you need a reliable truck in Pharr, we believe you can’t go wrong with a Freightliner truck. These vehicles are favored by truck drivers and for good reason—they’re extremely reliable; it’s rare for one to break down. They’re also very fuel efficient; you’ll be able to go much farther with less gas in comparison to other trucks on the market. If you want a truck that is rugged and reliable, then we highly recommend you look into Freightliner trucks. Do you want to drive some of the best trucks on the market? We have a wide range of Freightliner trucks available here in Pharr. If you want a vehicle that’ll serve you well for years to come, you can’t go wrong with one of our Freightliner trucks. Trucking professionals rely on Freightliner trucks because they have a tried and tested reputation for getting the job done. We have both new and used Freightliner trucks available; our used vehicles have been inspected thoroughly by our expert mechanics, so you can trust us to provide used trucks that are almost as good as new. There are a lot of cases where you may only need a truck for a short amount of time. If you’re looking to rent a truck in Pharr, why not try out our truck rental service? We have a wide range of Freightliner trucks available, which are all regularly inspected and maintained by our expert mechanics. If you’re interested in renting a truck, please give us a call and we’ll help you find the perfect truck to suit your needs and budget. South on Hwy 281 take Nolana Loop Exit (FM 3461). Proceed ¾ mile South on Frontage Road. From Hwy 83 take Hwy 281 North. Exit Nolana Loop and follow directions same as above.